Monitor Call, Text Messages, Photos and more without jailbreaking your child's iPhone with the new iCloud based parental monitoring service. You need not install any app on the child's phone. 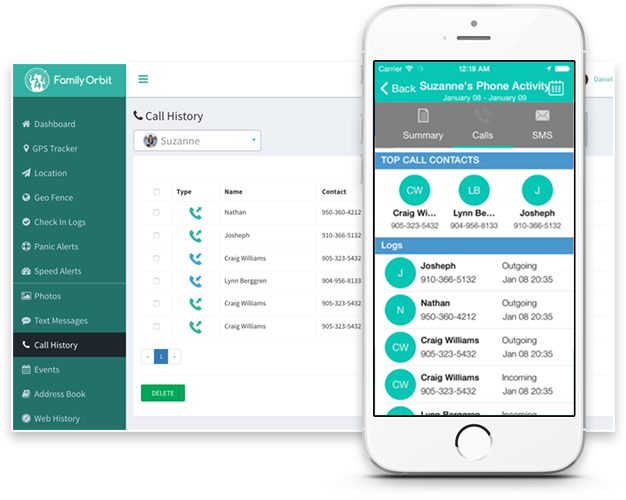 Monitor call details including date, number, and duration via our monitoring app. This provides you access to your child’s incoming as well as outgoing calls. When your child’s call history is monitored, nothing can be more peaceful than this thought: your child is safe from the digital world.In case the call history shows too lengthy calls from someone you don’t want them to be friends with, you can talk to your child about it and educate them to change their behavior. Track sent and received SMS and iMessages. Also monitor Deleted SMS if they are sent to backup before they are actually deleted. With everything from text messages to sender and recipient details on your hand, you can track the whole conversations your child is in to. This is an easy way to know that your child isn’t involved in texting impermissible messages or even if your child is getting bullied. Track the places your child has been to with their phone. This app provides you the location history of the phone your child is using. The location history report also includes specific details such as the exact time and date when your child visited a specific location on an online interactive map. Do you often worry if your child lies to you? If you are unsure as to where exactly your child is going and with whom, then this app solves the issue. If your child is lying to you, you can show their location history to them. This will help you stop your child from lying the next time they go out. View the URLs your child has visited while using internet browsers in their phone. 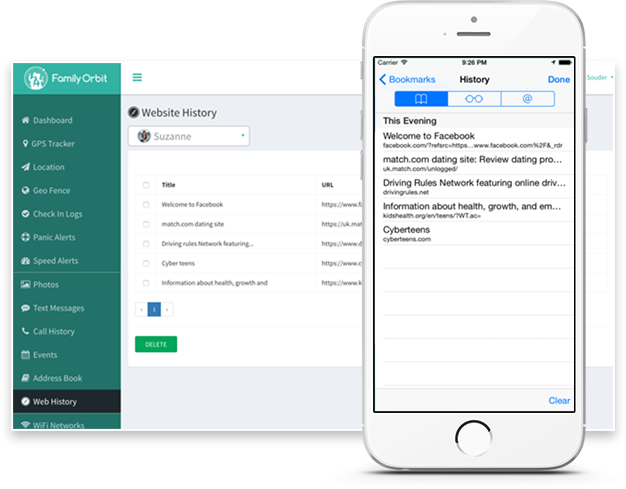 The app lets you scan through the entire browsing history so that you can track all their online activities. Your child’s online security is priceless. That’s why you must find out regularly if the websites your child visits are safe for them or not. By providing detailed analysis of the date and time when these websites were visited, this app helps you confirm that your child isn’t abusing their internet privileges. Check every event saved in your child’s phone calendar. The app tracks all calendar activities entered into their monitored phone. Stay informed about your child’s smartphone activities by monitoring the apps they’ve installed. The iPhone Monitoring app will show you all their installed apps for playing games and communicating with friends. Be informed about each contact your child enters into their address book. This also lets you view the list of numbers and names stored in the contact information. View the chat messages sent or received using the popular WhatsApp messenger app. Q: What is Family Orbit® iCloud Monitoring Service? Family Orbit® iPhone Monitoring Software allows parents to track their child’s phone usage and behavior in more than one ways. This app lets you monitor if your child is using their phone safely. It helps you control them if they’re indulging in activities that seem unfavorable to you. This includes tracking their call history, text messages, photos, web history, location history, calendar activities, and a lot more. Q: What are the requirements of iCloud Monitoring service? •	Backup must be enabled on the iPhone. •	If 2 factor authentication (2FA) is enabled on your child's device, you may need the device in your hand to enter the verification code in our system. •	The screen of the target device is locked. Q: Do I need to jailbreak the iPhone or install any app on my child’s iPhone? You don’t need to jailbreak your iPhone or install any other app on your child’s phone. That’s because jailbreaking is complicated as well as it nullifies the phone’s warranty. Secondly, if you upgrade your phone with a new iOS version in the future, you’ll be wiping out the jailbreak. With Family Orbit®, you just need the Apple ID and the password to be used for the same account of your child’s phone. Once you have setup the account, you’re authorized to track your child’s behavior via the Family Orbit® - iPhone Monitoring Software. Q: How does Family Orbit extract data from my child’s device? 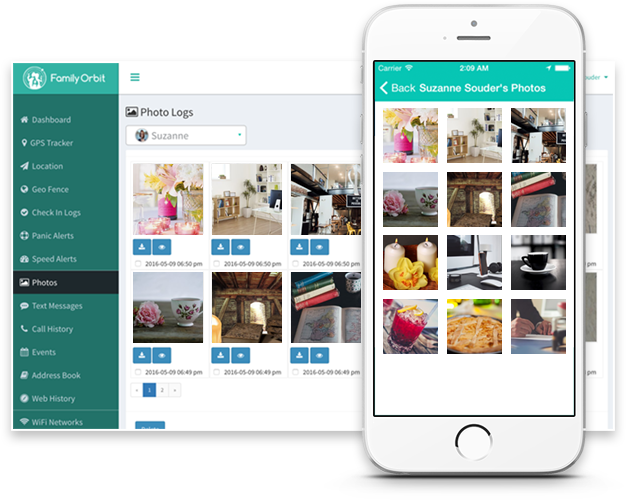 The app creates a remote connection with your child’s iCloud server. With Family Orbit® iCloud Monitoring Service, you can retrieve all their phone usage data directly from the iCloud Servers. Besides this, the GPS tracker extracts the location history of your child using the same technology as Find My iPhone. 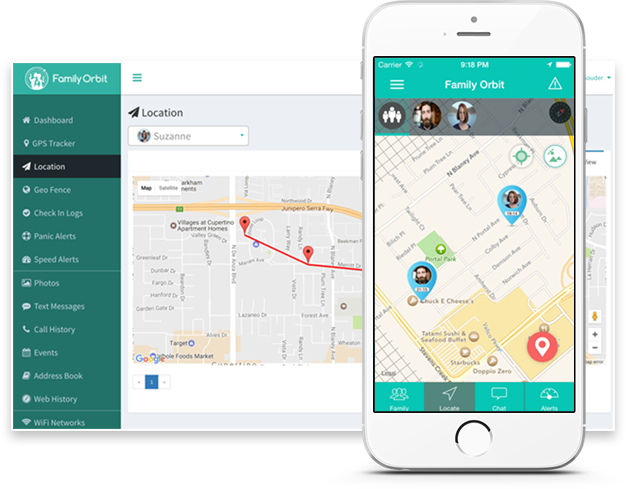 You can optionally use the Family Orbit app to monitor your child's location in near real-time. Q: Can I monitor multiple devices? Q: Do you provide help and support? Q: What does the app cost? There are two methods to purchase the Family Orbit® iPhone Monitoring Software. You can either subscribe for $49.95 semi-annually or $89.95 per year. Why Parental Monitoring is Necessary? 78% of teens own a cell phone. This gives them the freedom to make friends and exchange text messages even with strangers. Besides this, 37% of them own a smartphone and have access to apps you might not want them to install. 81% of teens use social media. With so much accessibility to the internet, their chances of cyber-bullying are higher than ever. 75% of teens using cell phones send sexually suggestive text messages to their boyfriend/girlfriend. This astonishing statistic is adversely affecting their personalities. Sign Up for a Family Orbit secure account and then add profile of your child whom you wish to monitor. Register the Apple ID and Password of the device your child uses. If iCloud is not setup on your child’s device, you may need physical access of the device to do an easy setup. Login to your private secure panel from any computer or smartphone to see all the recorded logs in an easy-to-use online interface. "I have to thank you for your great help. It's rare that I find companies with such great response time and efficiency." "Thanks! I love this service, thank you for offering such a good product. I recently purchased a different program that ended up being a scam, so I am grateful that this one is offered by a good company with great customer service. Thank you!" "We have been using this program for about two months and we are happy with it." View Text Messages and Photos. Monitor Call & Web History. Track GPS Location & Calendar Events. Monitor WhatsApp Chat & Address Book.